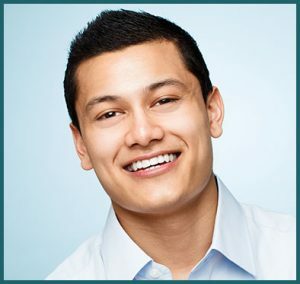 Our team is very happy to offer Invisalign™ virtually invisible aligners. This innovative solution allows you to have straighter teeth in as little as four months! These thermoplastic aligners can correct overcrowding, widely spaced teeth, overbite, underbite, or crossbite. 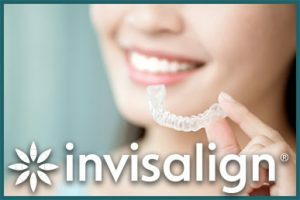 Invisalign uses advanced, 3D computer imaging to prepare your full treatment plan from the current positioning of your teeth to the final straightened smile. Once the plan is created, clear aligners are created for each stage of your plan. These aligners are much like teeth-whitening trays and are custom-made to your own smile. When you are wearing the first set of aligners, they will use pressure to move your teeth gently into position. About two weeks later, you replace them with the next set of aligners and progress through your full treatment. You only need to visit the office for evaluation about every four to eight weeks. Choosing Invisalign over traditional braces can benefit you in a number of ways. For example, nobody will know you’re straightening your teeth because the aligners are clear and nearly invisible! People would have to be told the aligners are in place or look very closely to be able to see them. This gives you a lot more confidence when smiling during active treatment. Invisalign is also more comfortable. The aligners come in one piece, therefore you don’t have any metal or wires that need to be checked or adjusted, resulting in fewer dental visits. Though you wear Invisalign all day and while sleeping, they are easy to remove for eating and brushing. Unlike with other teeth-straightening treatments, Invisalign doesn’t restrict what you can eat and drink. Not to mention, keeping your teeth clean is as easy as before treatment because there are no braces to restrict brushing and flossing. You’ll appreciate this convenience! If you’re looking for a convenient and easy way to straighten your teeth without the mess of wires and metal, the doctors at Mosaic Dental in Sterling are here to help! 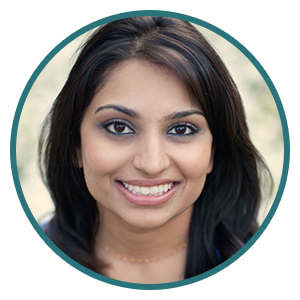 A straighter smile is just a phone call away, so give us a call to schedule a no-cost/no-obligation consultation at 703-721-7509 to determine if you’re a candidate for Invisalign.